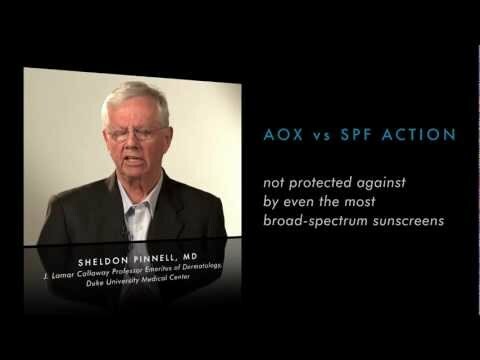 As Skinceuticals founding scientist, Dr. Pinnell changed the face of topical antioxidants with his pivotal research. More than just a dermatologist, professor, and skincare chemist, meet the man behind the lab coat and hear him explain his groundbreaking work. Dr. Pinnell passed away July 2013. His quest for knowledge and dedication to skin science was paramount for establishing SkinCeuticals as the antioxidant authority. His work will continue to inspire our research and promote our mission, which is to develop advanced skincare solutions backed by science. Dr. Pinnell is a distinguished professor of dermatology at Duke University, currently holding the title of J. Lamar Callaway Professor Emeritus of Dermatology. He has been a member of the Duke Medical faculty for almost 40 years, and also served as Chief of Dermatology at Duke University Medical Center for 15 years. At Duke, he has trained physicians from the United States and abroad both as dermatologists and research scientists. 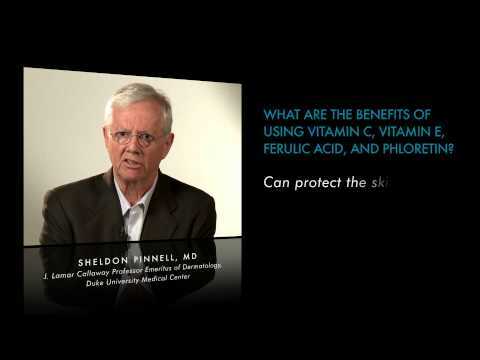 With almost four decades of experience in skin cancer, skin disease, and skin aging research, Dr. Pinnell has published more than 200 scientific articles about topical vitamin C, antioxidants, collagen synthesis, and photodamage in peer-reviewed dermatology journals. Dr. Pinnell received his Medical Degree from Yale University, conducted his medical internship and residency at the University of Minnesota Hospital in Minneapolis, Minnesota, and completed his dermatology training at Harvard University and Massachusetts General Hospital in Boston, Massachusetts. Dr. Pinnell conducted his research training as a collagen chemist at both the National Institutes of Health in Bethesda, Maryland and also the Max Planck Institute for Biochemistry in Munich, Germany. Dr. Pinnell earned his Bachelor of Arts degree in Chemistry at Duke University, where he graduated with Phi Beta Kappa academic honors. 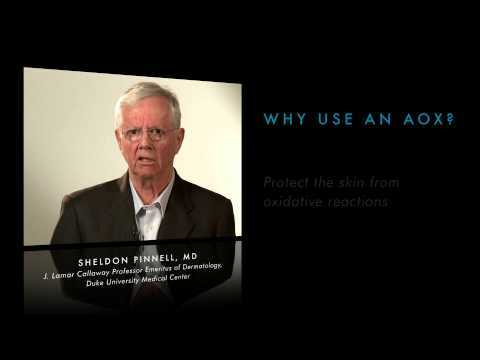 Dr. Pinnell’s skin science research has garnered him ten patents over the past three decades. The most important patent in SkinCeuticals’ history pertains to “A Stable Solution of L-Ascorbic Acid (Vitamin C).” The formulation standards put forth in this study are now known as the Duke Antioxidant patent. Three additional patents supplement Dr. Pinnell’s initial patent, one for the formulation-specific application to protect the combination used in Skin Firming Cream and Eye Cream; another to protect the combination used in SkinCeuticals C+E skincare products; and a third to protect the formulation used in SkinCeuticals phloretin skincare products. Together, these patents provide a firm foundation for all SkinCeuticals’ antioxidant products. 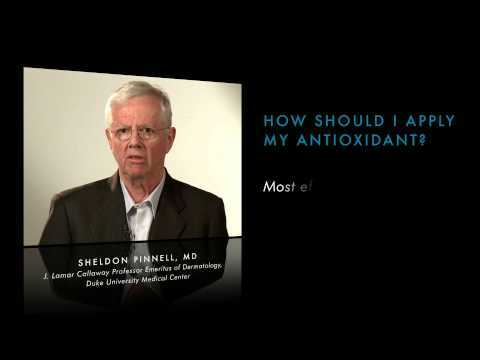 Dr. Pinnell’s Duke Antioxidant patent has been a driving force at SkinCeuticals since the company’s inception, but he has made other milestone discoveries along the way. His skin science research findings have been published in peer-reviewed journals and universally accepted in the dermatological community. SkinCeuticals was the first to discover the exact formulation specifications a topical antioxidant must meet in order to penetrate-and protect-the skin. 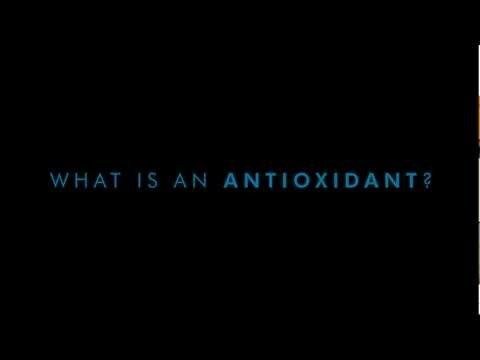 These parameters have become the gold standard for antioxidant formulation. SkinCeuticals second-generation product marks an important milestone in the development of antioxidant technology. For the first time, it was possible to mix successfully an aqueous antioxidant (Vitamin C) with an oily antioxidant (Vitamin E). In 2013, the Duke University School of Medicine and the Department of Dermatology created The Sheldon Pinnell Center for Investigative Dermatology to honor Dr. Pinnell’s unwavering commitment to the discovery of new and innovative methods of treating skin diseases and to training the next generation of young investigators. The establishment of the Pinnell Center provides a comprehensive program for investigative dermatology through support for early career investigators with initial funding; support for post-doctoral fellow training; funding for innovative proposals and new projects focused on translational research leading to new therapies for skin disease; and the enrichment of the investigative community through regular seminar series, development of core facilities and laboratories, and support for translational and clinical research. With a vision to build a world-renowned Department of Dermatology , Dr. Pinnell marked his tenure as division chief from 1982-1997 with bold strategic initiatives, including the recruitment of new clinicians and investigators, establishing new areas of research in immuno-dermatology and connective tissue, as well as initiating new clinical efforts in wound care, laser medicine, dermatologic surgery, and pediatric dermatology. His efforts and those who have come before and after him culminated in the establishment of the Department of Dermatology in 2009, highly regarded today for innovation and excellence in research, clinical care, and training. The Pinnell Center serves as an enduring legacy of the faculty, staff and students’ appreciation and gratitude to Dr. Pinnell for his loyalty, mentoring, enthusiastic embrace of academic life, intellectual curiosity and outstanding leadership that has positioned Duke University’s Department of Dermatology as a national and world leader.